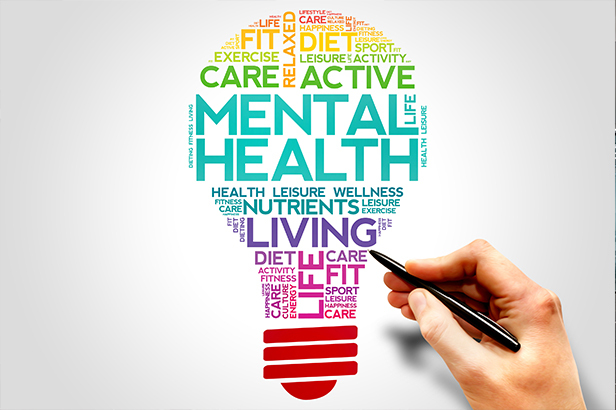 Everyone wants to live a healthy life free from any mental stress and other diseases but in this fast moving world where cut throat competition prevail above everything in every field, unhealthy food and many other things in our life leads to mental problems which can be dangerous to our existence if not treated properly. Changing your lifestyle and eating habits can change your life for its better by eliminating all unwanted mental, physical and emotional problems for ever giving you a blissful life with active body to excel in your life with full productivity. Here we have come up some simple ways which you can implement in your life to make it much more fulfilling and free from mental problems thus elevating your mental and physical wellbeing. Eating healthy food items provides lot of essential nutrients required for mental wellbeing and good brain health which you won’t get in junk food items like pizza, aerated rinks etc. Healthy food also prevents bloating and feeling of fatigue throughout the day. Once you start eating healthy food items like veggies, fruits, lentils, beans, dairy item like tofu prepared on propane gas grill, yogurt etc. you will see the difference for yourself in your thinking process and body fitness as your mind will get more focused on the work you do thus increasing your overall work productivity. Daily meditation improves your mental health to great extent and your body feel very relaxed after it. The benefits of meditation are immense as a recent study concluded that mediation helps in getting rid of depression, anxiety and related problems up to a great extent. So start from today by sparing only 10 minutes in morning for meditation and you will see a big difference in your life after you adopt for a consistent meditation practice on daily basis. You have got lot of things that other people can only dream about so be great for what life has given you and keep striving for happy life and better times. By doing this you will feel much more contended and blissful which will help you to stay away from unwanted stress and anxiety attacks for better life and mental wellbeing. Pets are called man’s best friends for a reason as they help us when we are in bad mood and reduce our stress factor by playing with us. When we are with our lovely pets like dogs, cats and birds the connection with them makes us feel comfortable and not neglected by world so the body releases oxytocin hormones which help to stay away from anxiety attacks and depressions. They also helps in problems like insomnia, mental stress, and other mental issues. To keep your body fit and healthy you need to do some kind of exercises daily for which you can follow a workout regime in your home gym to keep your body fit and take your health to next level. By doing this your mental wellbeing will also improve and you will feel active for rest of your day. You can start by doing some simple exercises like stretching, crunches, running on treadmills, pulling up dumbbells with a fitness vest on your body to increase the intensity of workout, spinning cycles, doing pull ups etc. to get in a flow of workout for better body fitness and mental health. If you like our tips shared above to keep your mind stress free and improve your mental health then don’t forget to follow them on daily basis and share this article your friends and family as it would help them to elevate there life and live a fulling life with mental freedom free from any kinds of stress and other mental illness. a prolific writer and avid reader who loves to cook.